Inside or out, these six systems encourage spatial efficiency in both commercial and residential settings. Innately flexible, their design allows square footage to respond to the changing demands of the user. Occupants of open-plan offices not infrequently yearn for the visual and acoustic shielding afforded by conventional, closed-office systems. The lineaCube offers acoustic privacy as well as a fully responsive working climate. 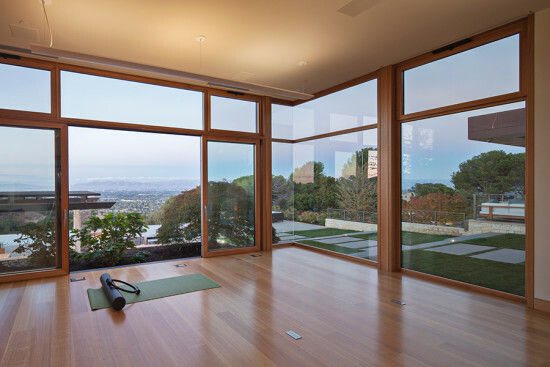 In addition to completely transparent walls, combinations with blinds, privacy glass, and opaque walls are also possible. The minimalist design of the unit is facilitated by its completely self-supporting structure with recessed ceiling and double glazing. 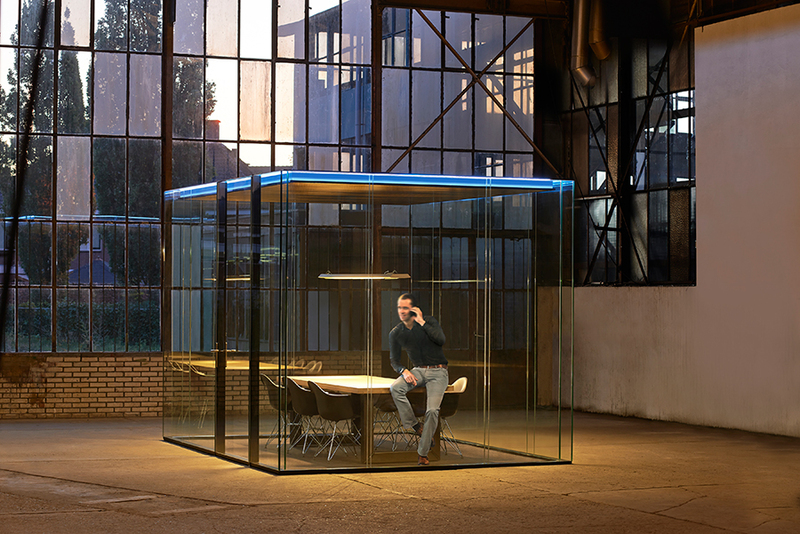 The lineaCube is an independent space with its own ventilation, acoustic insulation and absorption, with power, data, audio, and lighting integrated into the ceiling. This door supplies plenty of design flexibility. It is available in a wide range of configurations and sizes, grille and glass treatments, and interior and exterior cladding options. Uses floor-supported hardware. These vertically-retractable walls are operated by remote control and take less than a minute to go up or down. 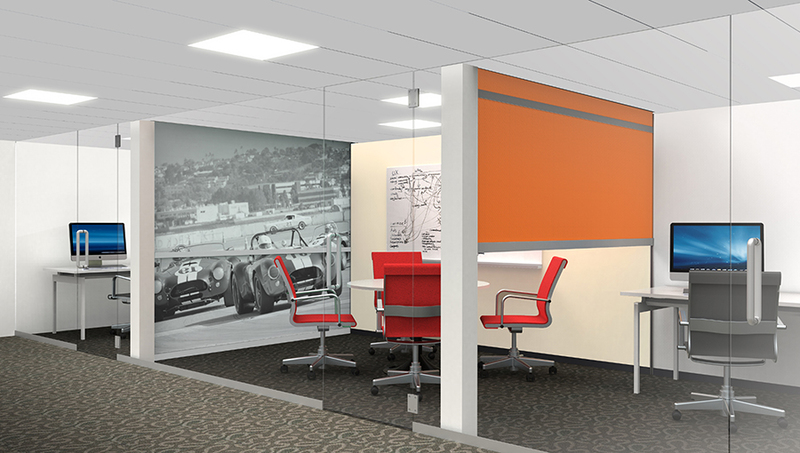 Offering differing levels of visual and acoustic privacy, the walls are available in felt, woven fabrics, wood, steel mesh, and vinyl. Available in both indoor- and outdoor-rated models. 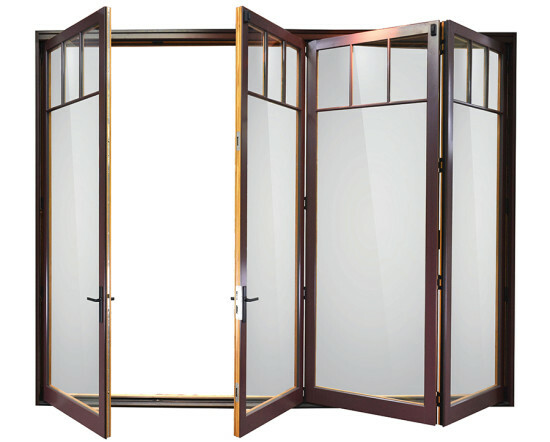 This suite of windows and doors features narrow profile frames and sleek European-style hardware, a contemporary square glazing bead, and interior and exterior finishes complementary to today’s modern homes, such as jet black, metallic, or anodized exterior cladding and polyurethane interiors. 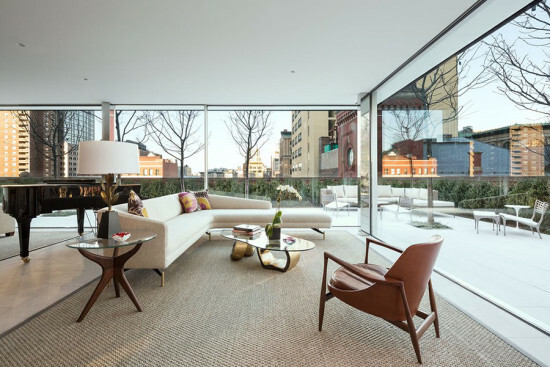 The aesthetic options offered by this manufacturer include both wood and steel materials, more than a dozen color finishes—from stainless steel to nickel to Cor-ten steel—and unlimited shapes and sizes. The products have a NFRC rating based on their true thermally-broken construction and an impact rating for use in hurricane-prone areas. 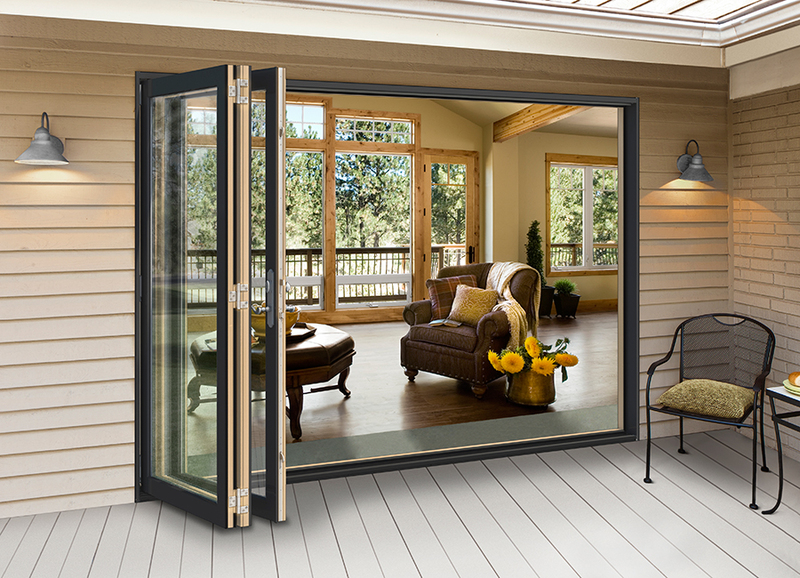 Steel products have a ten-year warranty. The sliding windows comprise insulating glass units with perimeter aluminum or glass-fiber-reinforced plastic sections. Mounted in aluminum frames that are fitted flush with floor and ceiling, the sliding units offer minimum rolling resistance when operated. The system drainage for the flush assembly is via recessed channel or is installed below the raised outdoor floor covering.